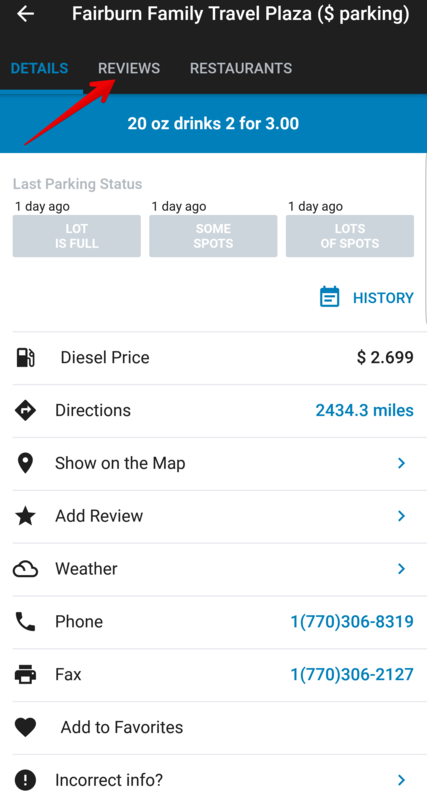 Read through fellow truck driver’s truck stop reviews or leave one of your own on the Trucker Path app – the best app for truckers! 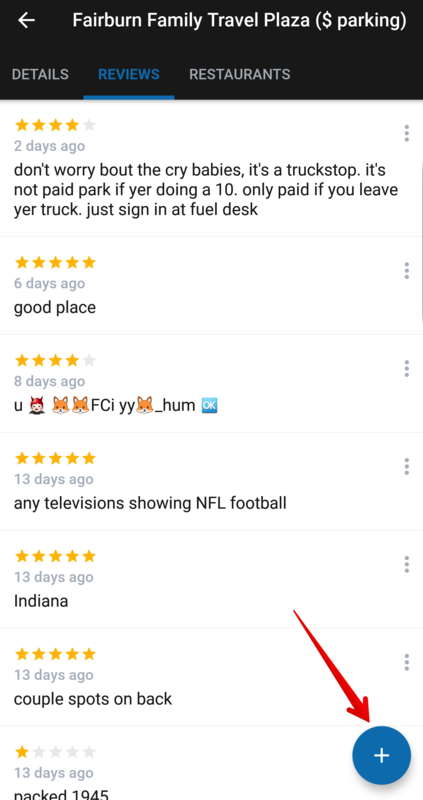 Found a truck stop nearby and want to see what fellow drivers have to say about parking, food, showers, and other amenities? Or maybe you’re looking for nearby restaurants. 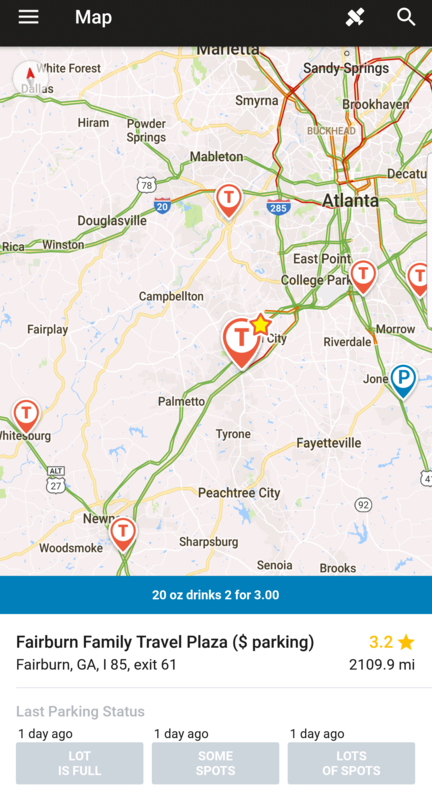 No problem, Trucker Path has you covered with truck stop reviews! 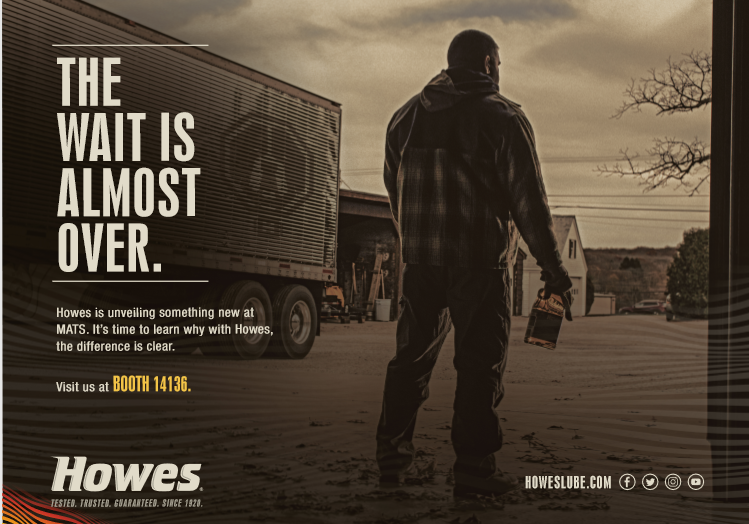 Now you can find the best truck stops for you and get a better idea what the experience at a location might be like before deciding to route to it. 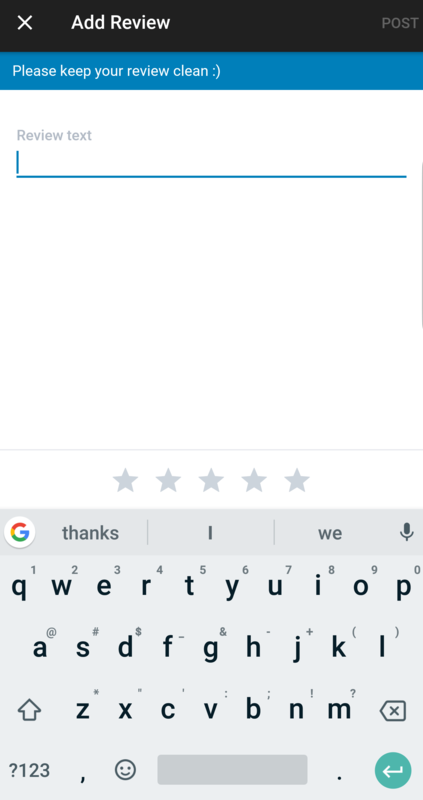 Trucker Path DOES NOT tolerate any offensive reviews. 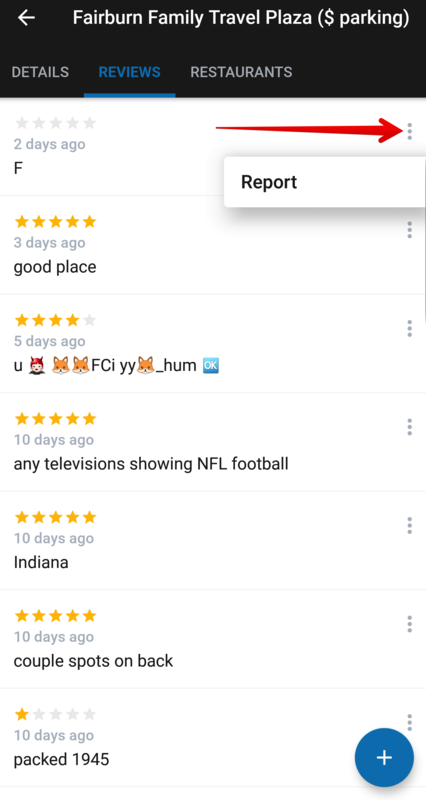 If you come across a review that is wildly inappropriate or offensive, you can report it very easily.